James enlisted in Glasgow, and went to the front in France in July 1915. He initially held the rank of Driver, before transferring and becoming a gunner. James was killed-in-action on the first day of what has been dubbed 'the second-worst day in British military history, which was the first day of the German Spring Offensive of 1918, a.k.a. Operation Michael. 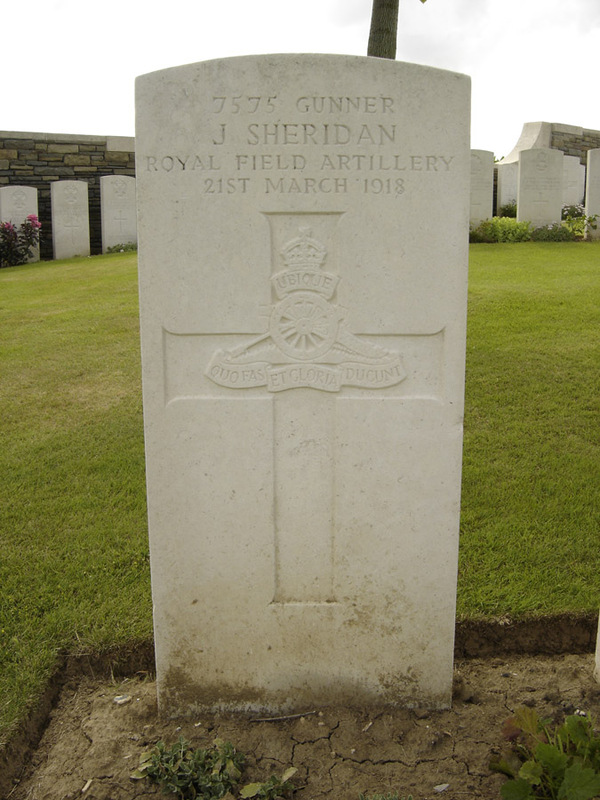 The story of James's burial highlights a sadly typical reality of WW1: while many of those who fell with him were never identified, and are buried as 'British Soldier(s) of the Great War', a fragment of James's clothes, with a partially-legible name and regimental number survived, allowing his remains to be identified.